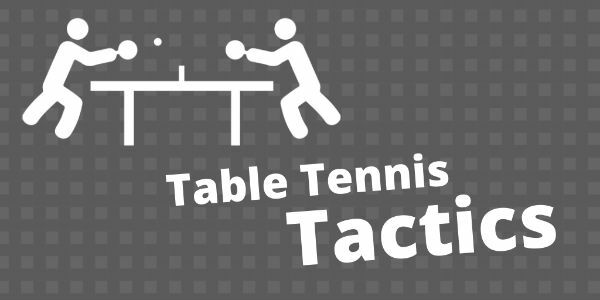 In local league table tennis in the UK, we have a strong tradition of handicap competitions. This is where players are given points advantage / disadvantage based on rankings. So you can have a player from the top division competing against a player from the bottom division. The top division player starts from 0 (or even minus points) and the bottom division player starts with a higher points total (e.g. 22) and then the game is played up to 31 points. Handicap point systems vary from league to league, but the general idea is to is to allow players of different standards to have competitive matches. We recently had our annual club handicap tournament. Last year I finished runner-up, but this year was not so good. I crashed out early in the tournament. The eventual winner was a player from the bottom division, which is always nice as it shows that anyone – no matter what standard – is capable of winning a handicap tournament. But I usually do pretty well in handicap matches. Our league team has won the the league handicap competition three times in the past five years (maybe our handicap ratings are too lenient!). So here are some tactics I have used over the years to help me win handicap matches. I will give advice to both players with a high handicap and players with a low handicap. The stronger player has a dilemma – whether to attack or play it safe. Often the stronger player chooses the latter option – playing it safe – as he doesn’t want to give away cheap points. So you may get more opportunities to attack (or play positive strokes) than normal. So go for your shots. Whatever your normal playing style – whatever your strengths – try to play your shots with a bit more sting. If you like to hit the ball – then hit it a bit harder than normal. If you like to push the ball – then dig the ball a bit faster with a bit more backspin. If you have a big points lead, all you really need is 1 in 3 of your positive shots to go in and you’ll probably win. Every point you win, more pressure goes on to the stronger player. Even if the stronger player isn’t playing safe – still go for your shots. Give him something to worry about. There is little gain from playing it safe against a much stronger player, as he may well blast through you. So go for it! Most players at local league level (even very strong players), will be stronger on either the forehand or the backhand side. Try to identify which is the weaker (or less strong) side of your opponent. In a handicap match – if the stronger player is playing a bit safe – his weaker side can be more prone to mistakes, as he is desperate not to give away cheap points. So if you sense his backhand is weaker, then play lots of shots to the backhand. You can pick up some cheap points this way. And if you only need a few points to win the match, this simple tactic can be enough to get you there. How you serve is important. Normally when you play a stronger player, the advice is to keep your serves tight and make it difficult for him to attack. But in a handicap match, I always think it’s worth doing plenty of long, fast (and spinny if you can) serves. Again, you’re working on the premise that the stronger player may be a bit nervy, as he doesn’t want to give away cheap points. But by being too safe, he may prod at the long, spinny serve, rather than playing a full stroke. The result? The ball flies, long, wide or in the net and you win another cheap point. Often a much weaker player will have some unconventional looking shots. In normal table tennis life, if a player is too unconventional, it stops him progressing as a player. But in a handicap situation, being unconventional can be a big advantage. If your shots a bit freaky or a bit unusual, it can take a little while for the stronger player to work out what’s going on! So you can win points early in a match, just by playing some weird looking shots. The temptation when playing a much weaker opponent is to play safe and let him make all the mistakes. This is certainly an option, but you have to keep the ball tight. This means low spinny serves, sharp pushes, well placed blocks, strong attacks. Generally if you keep things tight – even if you are playing a bit safer than normal – it will be much harder for the weaker player to win points. The weaker player will make mistakes or give you easy balls to attack. The worst thing you can do (and I did this in the tournament last week) is play safe and loose, where your balls pop up too high, attacks are too timid and blocks too slow. A weaker player will take advantage of these loose balls. He still may miss a few, but he will get some and all he needs is a few points. So keep it tight and don’t give the weaker player easy balls to hit. Perhaps the better tactic is to forget the situation and standard of opponent and just play your normal game. So if you would normally attack, well just do that. Imagine you are playing someone who is equal (or better) in standard to you. What serves would you do? How attacking would you be? How focused would you be? If you play towards your best, you should be able to beat a much weaker player without losing many points at all. Of course, the danger is that you will make a few unforced errors early on as you’re finding your rhythm. But if you can get in to a rhythm quickly, then you can catch up quite easily and the weaker player will soon get demoralised. Whatever approach you take, whether playing ‘safe and tight’ or ‘attacking’, you should definitely focus on serving strongly. This is a big advantage. In general, a much weaker opponent will struggle to return many of the serves (with any quality) of a much stronger opponent. So serve like you would against someone of equal ability. Take your time. Think about the serve you’re going to do. Keep the ball low over the net. Generate lots of spin. And make sure you recover properly after the serve. The temptation when player a much weaker opponent is to serve, stop and watch the ball in the hope he will make a mistake. This will probably happen quite a bit. But some balls will be returned. And if you haven’t recovered properly, you may not be able to take advantage of any loose balls which are returned. The stronger player with the low handicap wins most of the points and catches up with the weaker player. When the scores are level, the stronger player starts playing a bit safer or gets a bit nervy, and the weaker player starts relaxing and takes more risks. The rest of match is even, with both players winning as many points as each other. Sometimes the weaker player, despite hardly winning a point to begin with, starts pulling away from the stronger player and actually wins the match! So if you’re the stronger player catching up, don’t ease off when the scores are level. Just forget about the score, focus on the process of playing and keep playing the way you did to catch-up. You need to be aware the weaker player might start taking more risks when the score is level, but don’t become passive. Keep attacking, keep things tight and keep serving strongly. What is your handicap experience? I do find handicap matches fascinating. It’s a completely different dynamic to playing a normal league or tournament match where both players start on 0 points. I don’t always get my tactics right, but usually I do pretty well. I find it’s more of a mental challenge as much as anything else. Trying to focus on one point at time, trying to ignore the scoreline and trying to calm the nerves. I would be interested to know how you handle handicap matches. Do you have specific tactics you use? Let me know in comments section below. Good article, 100% agree about making sure your serve is on point! When i’m struggling in a match I always try and go back to basics and make sure i’m putting myself into a strong position to win the points on my own serve at the very least to start swinging the momentum.